Thanks for the many interesting links and the collector-Video. 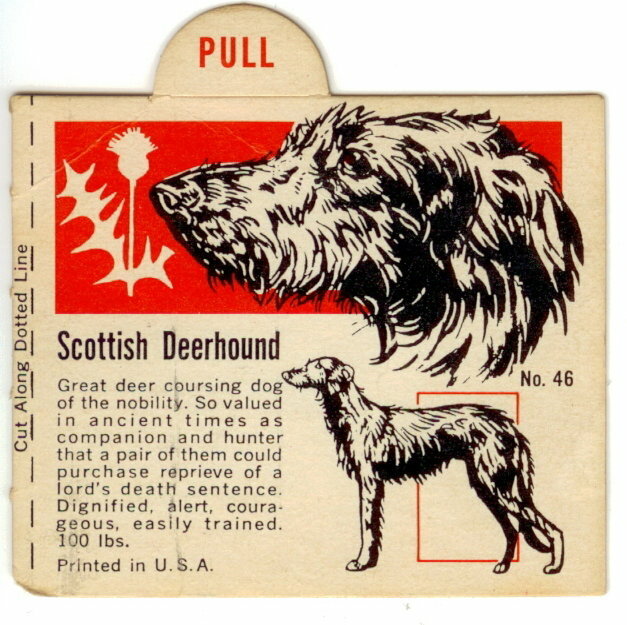 I will order a Deerhound figure in the next time by store.bigtalldog.com/scot...rhound-c70.aspx . with a Irish Deerhound (? 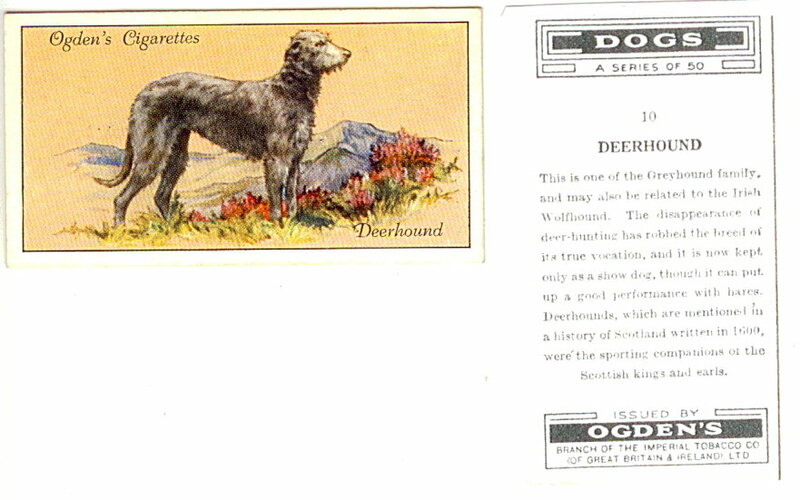 ), is it an old name for the Scottish Deerhound or an error? 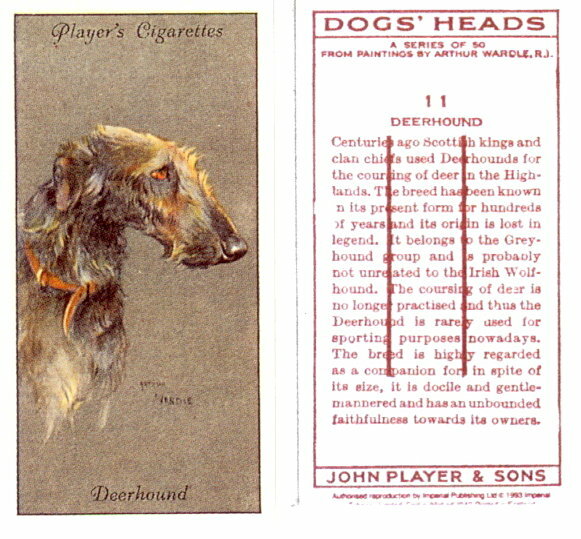 Hi Joerg, I wondered about the Irish deerhound as well. 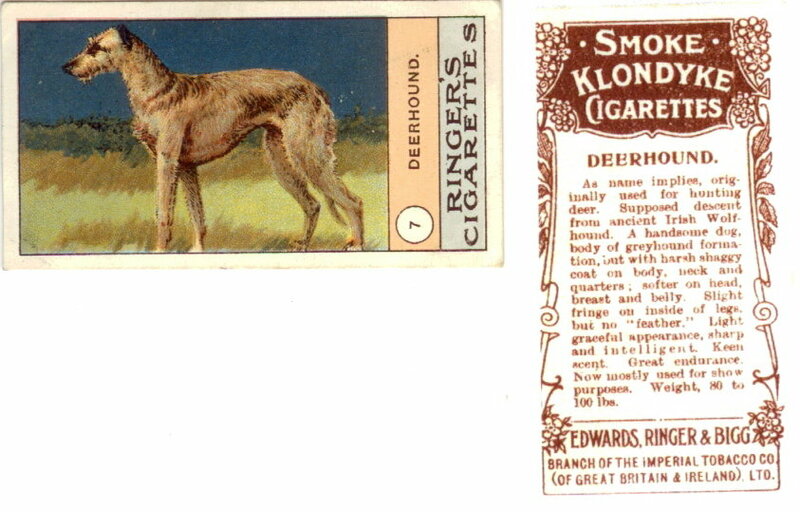 It could be an error, however many Deerhound lines were reared in Ireland and they were also interbred with Wolfhounds once to recover that breed when it's numbers were threatened. So maybe the term just refers to a Deerhound line that was bred in Ireland. Thanks for your answer and informations. Last Edit: 8 years 9 months ago by Joerg Yoki. I have scan today 4 new advertising cards from my collection. Issuer: OgdenÂ´s - The Imperial Tabacco Co.of Great Britain & Ireland Ltd. 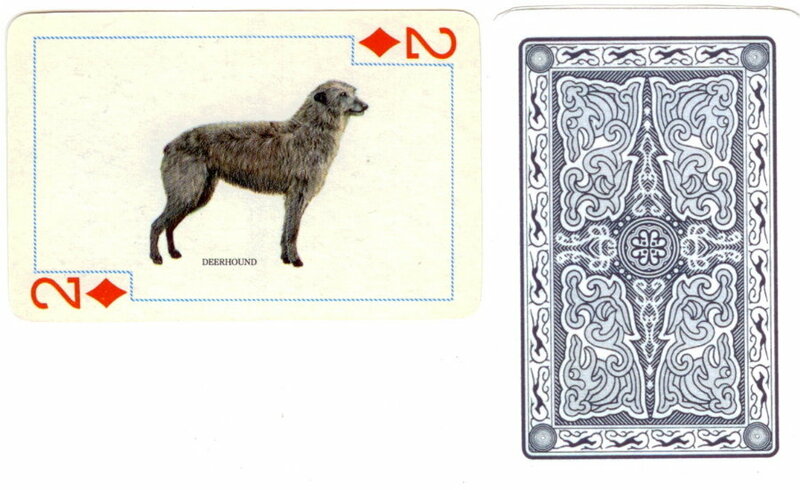 This card is with a Deerhound head print. This is the last card for today. 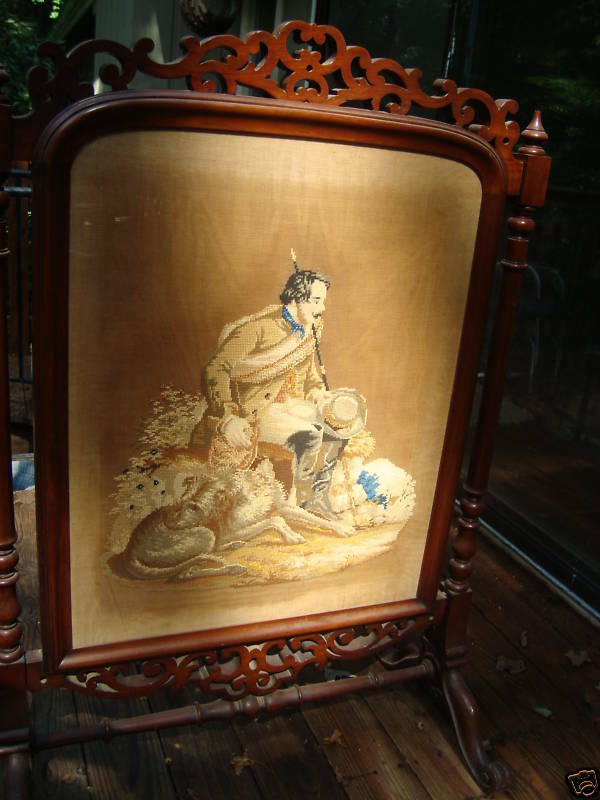 It is authorized reproduction by Victora Gallery. Great cards Joerg, thanks for letting us view them. Thanks Rob for your interest, I hope, I can collect more cards for the collection in future. 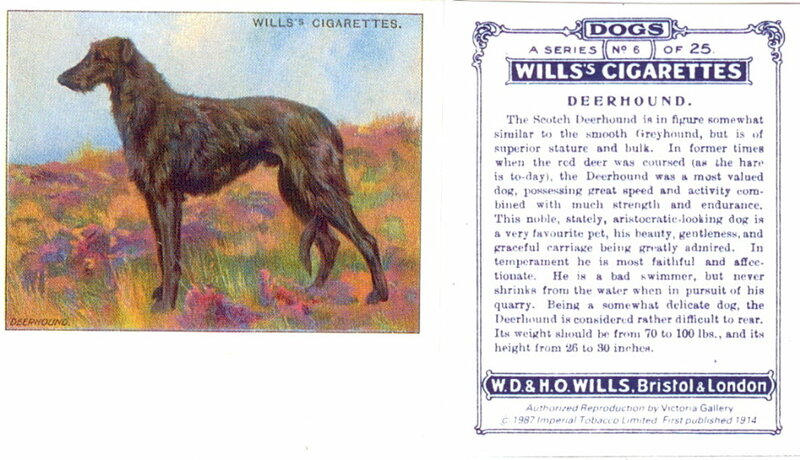 ...thanks hairybeasty,yes for the collection and my second Deerhound in next year. This is the second new card for my collection. I think the card is from the 1950s. It is cardboard card with pull. 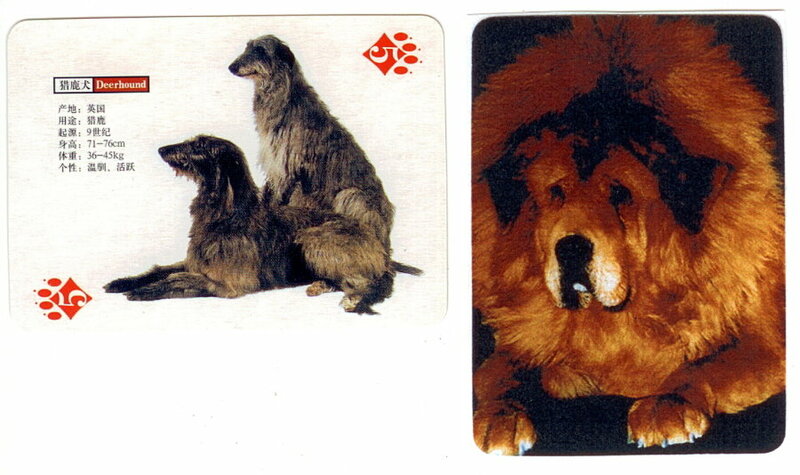 This cards gives also from another breeds. Possibly is the card a part from a package. Last Edit: 8 years 8 months ago by Joerg Yoki. Another cool find Jeorg. Thanks for posting.